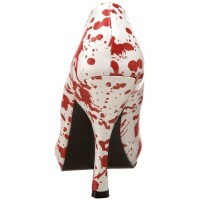 We’ve covered some blood splattered decor items before. 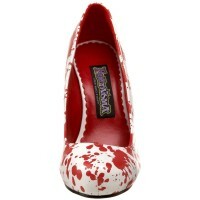 Now you can wear your love of horror on your feet. 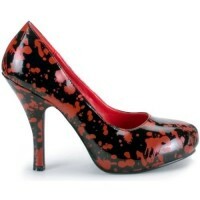 Funtasma by Pleaser is offering these Bloody Pumps in both white and black for your Halloween, business meeting, or DragonCon needs. Posted by Raygun Robyn on August 15, 2012. 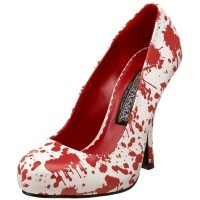 Filed under Shoes. You can follow any responses to this entry through the RSS 2.0. Both comments and pings are currently closed.